Winner of UP Authors Best Cover, is Danny D. Langone, author of Wilt’s Hollow. UP: Who created your book cover? And Whose idea was it to have a close-up of the character on the cover? DL: My daughter Kim Colombero created the cover design in every respect. UP: What is Wilt’s Hollow about? DL: Wilt’s Hollow tells a story about the effects of aging, from the knowledge we acquire while growing to the sense of loss we feel when we approach our life’s final chapter. The two main characters Granny Wilt and Moses are at the far ends of life. Moses an abused runaway of eight and Ms Wilt the last dying branch of her family tree are reluctantly thrown together and find mutual strength to pull each other back from the edge. It’s a heartwarming family saga cemented together by love and seasoned with shear terror. UP: What was your inspiration for the book? DL: I have always been in love with the concept of a simpler life and my grandparents were the inspiration. UP: Are you working on any other manuscripts? DL: Like most writers I have numerous manuscripts in process each driven by my mood on any one day. UP: What courses did you study at theUniversityofWisconsin-Whitewaterand what impact did that have on your author career? DL: I majored in vocal music while attending the University. Writing stories, poetry, and singing all drive human emotion. The power of that one word or that one note can overpower even the hardest heart. UP: What does your wife and children think about you being an author? DL: My family has always supported me in everything I have attempted to do although they know I am as predictable as a thirty day weather forecast and never lay down a dare in front of me. The one question they continually ask is, “How did you think this up?” followed by a declaration of relief that they can’t see inside my head. UP: How does your poetry help with your novels? DL: To me my poetry is a synopsis of a novel, the emotional storyline fleshed out before the muscle and bone that encase it are added. UP: What do you see yourself doing five years from now? DL: As far as the future goes, I am busily converting my garden shed into a man-cave for my dog Buddha and myself, where I plan to sequester myself in simplicity and write until I reach the last page. great interview. 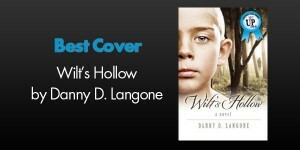 Danny Langone is a favorite author of mine now. I met him on Facebook and I have read all his books. He has the most wonderful imagination and way with words. 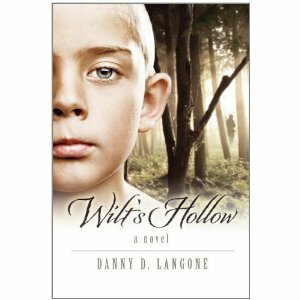 Im going to get my book club to read his book, Wilt’s Hollow.